Hello! 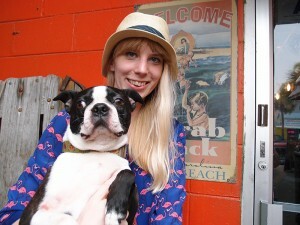 This last weekend Basil and I attended a great event call Woofstock! 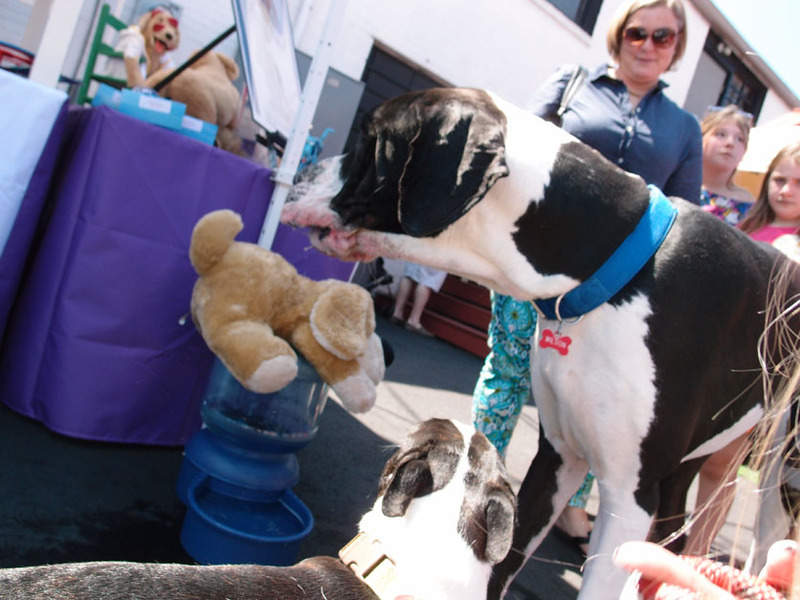 This was the 5th annual Woofstock and its put on by a local Great Dane rescue and the Blue Ridge Boxer rescue. Not only were we excited to check out the event for the first time but it was also at a venue in a neighborhood we have yet to check out, the southend. Just south of uptown this little neighbor had hip townhouses, a lot of boutique shops selling local wears and a pretty cool music venue call Amos Southend. 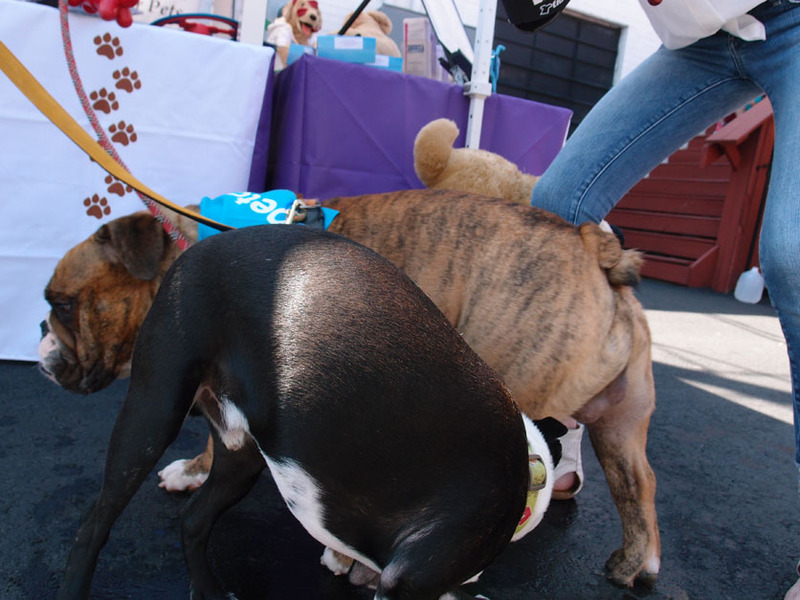 This is where Woofstock was held. We were able to enter with a small $5 donation and with a quick ID check we were given our first drink free. Once inside Basil lost his mind! So many dogs! As you know Boston terriers are my thing but I also love, love, love large dogs and this was for sure the place to be visit with some monster dogs. 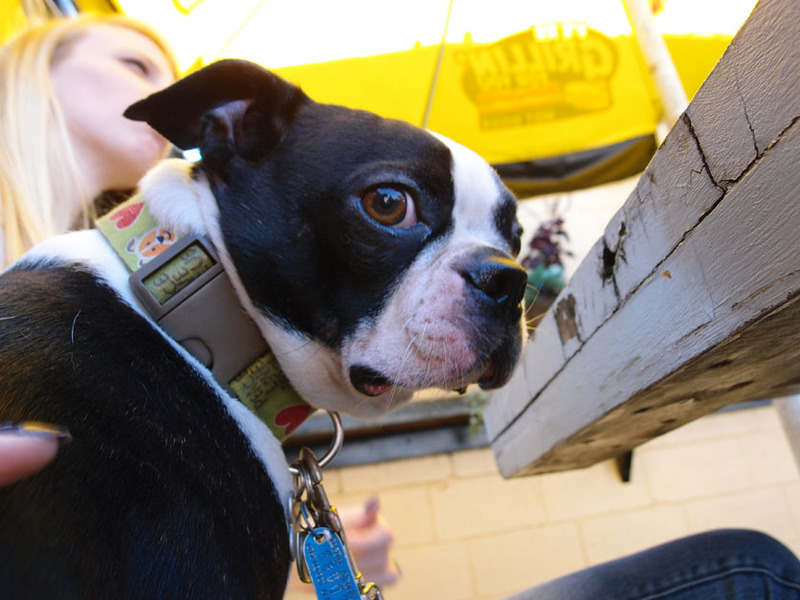 Great danes, mastiffs, greyhounds and one very sweet Irish wolfhound were among pugs, mutts and just a few Boston terriers. After a circle of the event we ran into a familiar face. 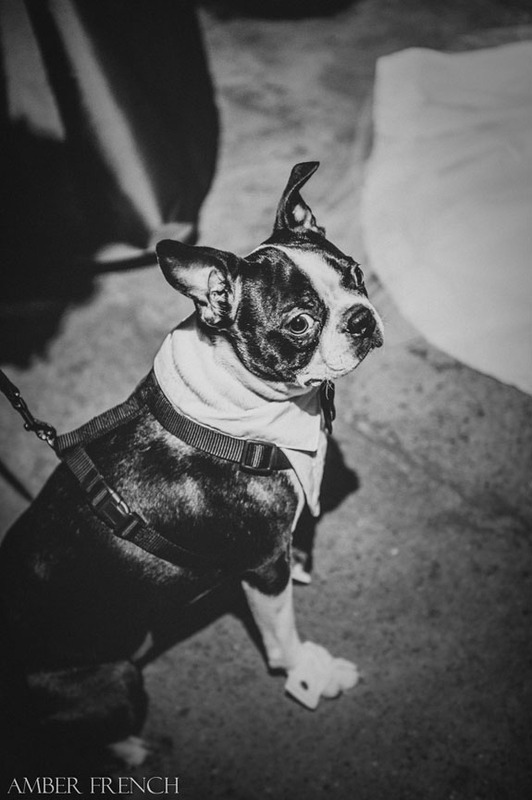 Lola, a fellow Boston terrier of Charlotte meet-uper and her mom were also there. We made sure to check out all the booths inside and out and then we headed over to the silent auction. A ton of groups donated their time, goods and services to be auctioned off for charity. I was very happy to see that almost every item has one or more bid on it. After making another circle to say goodbye to all our new friends we decided to head out and find some lunch. Lucky enough right next door was a sports bar with a large patio called Tavern on the Tracks. 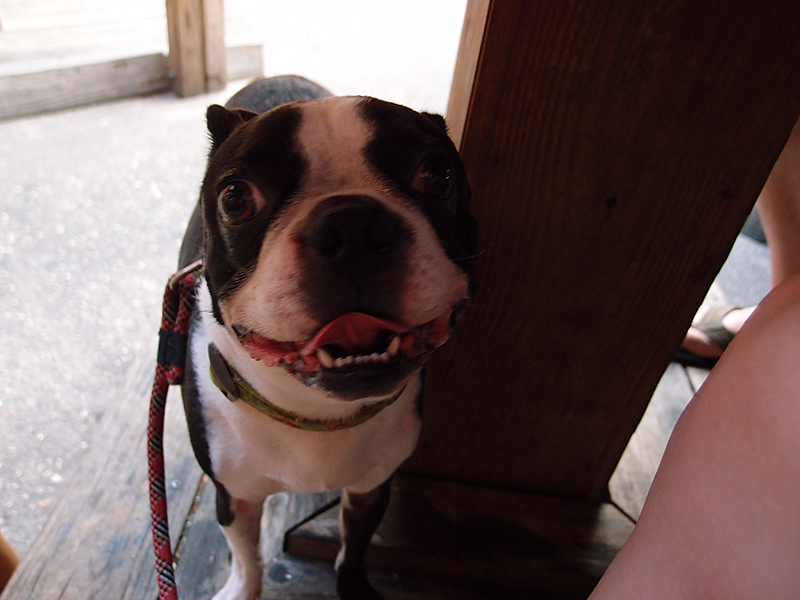 The moment we saw the waiters and waitresses we knew this spot was dog friendly. They were all wearing a tee-shirt with a large paw print on the back that said “Paws on the Patio.” We grabbed a sit in the corner with a large umbrella and plenty of dog water and had a great lunch. 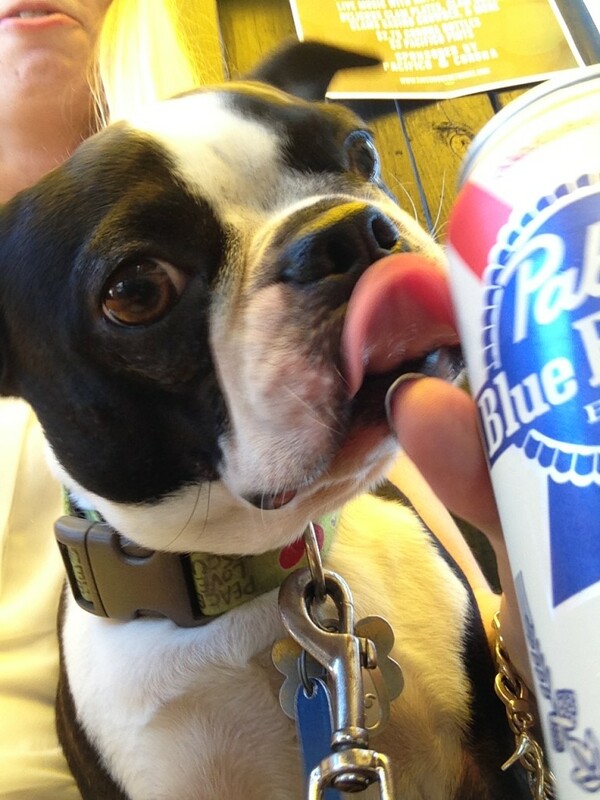 Basil even enjoyed a little of my PBR. It almost felt like we were back in Seattle! Overall Basil votes yes to both these places and recommend if you are in Charlotte to check out Tavern on the Tracks for good food and sports; especially if you are a Michigan fan. 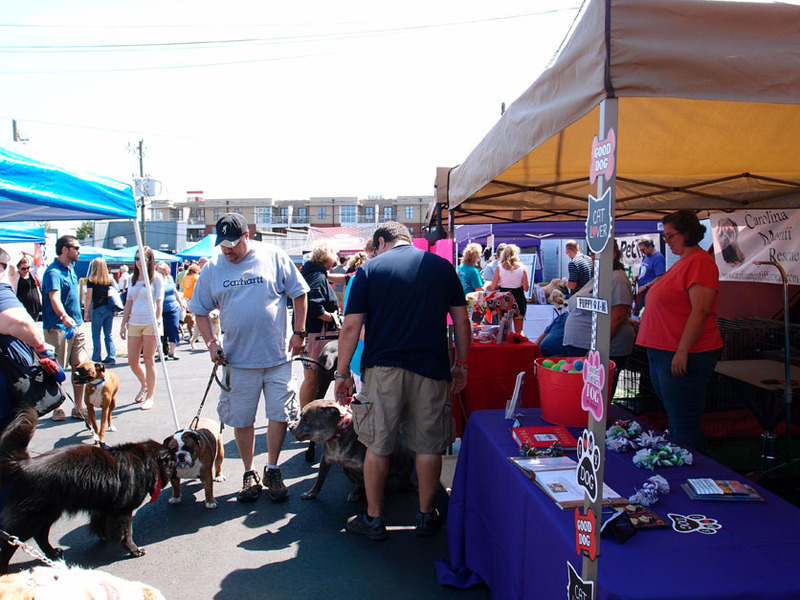 We also recommend checking out your own local dog events and donate to a rescue of your choice.
. Dog Bar has about a dozen parking spots in the back and at that time on a Saturday we were able to easily get a spot. Once we were there for about 30 minutes it started to fill up. 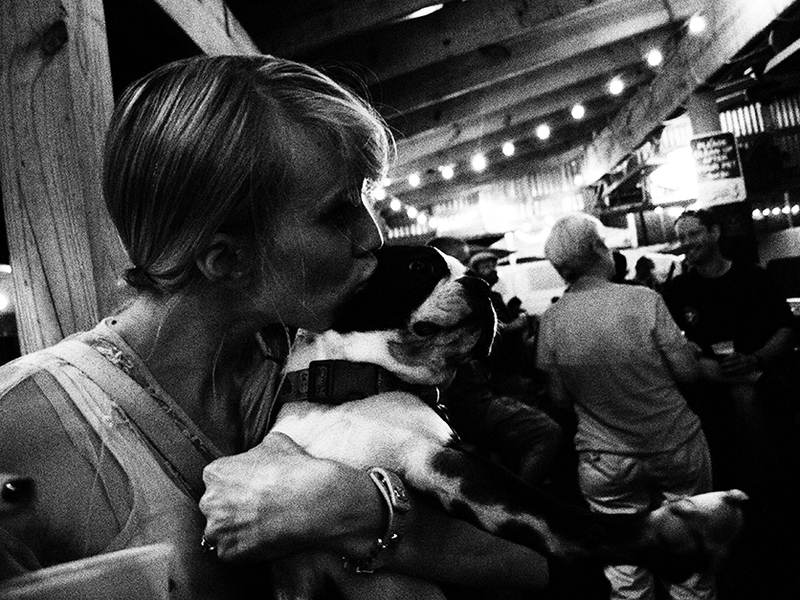 More people, more dogs and more craziness! 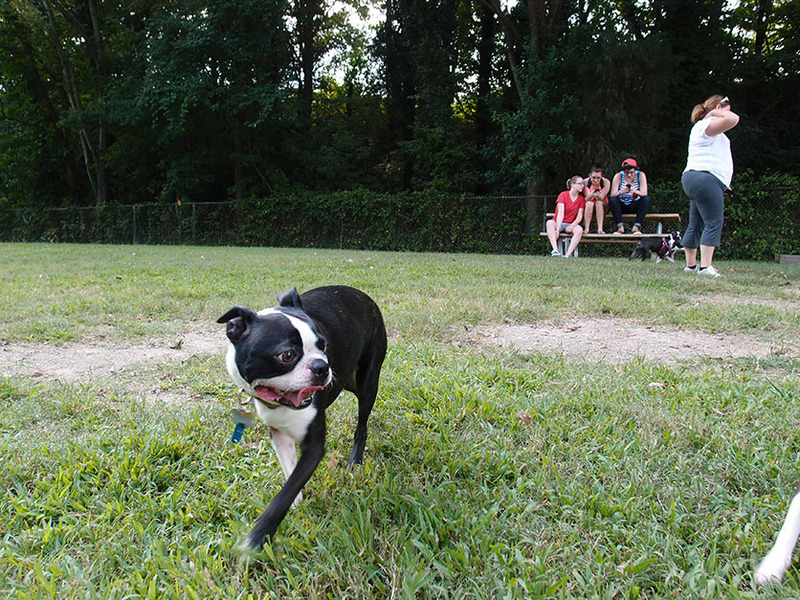 Dog Bar is an indoor/outdoor off-leash dog park that serves alcohol. There are many tables and benches for all us humans to enjoy our drinks while the four legged ones run ramped. 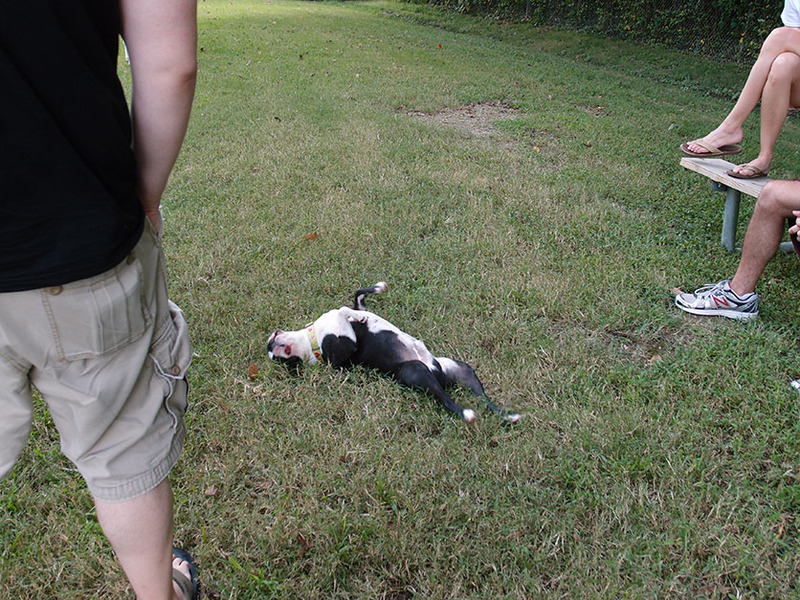 Basil was a little overwhelmed at first. His ears were kind of limp and he look confused. He kept just running from one room to the other! It took about 20 minutes but he figured out this was an uber good thing! 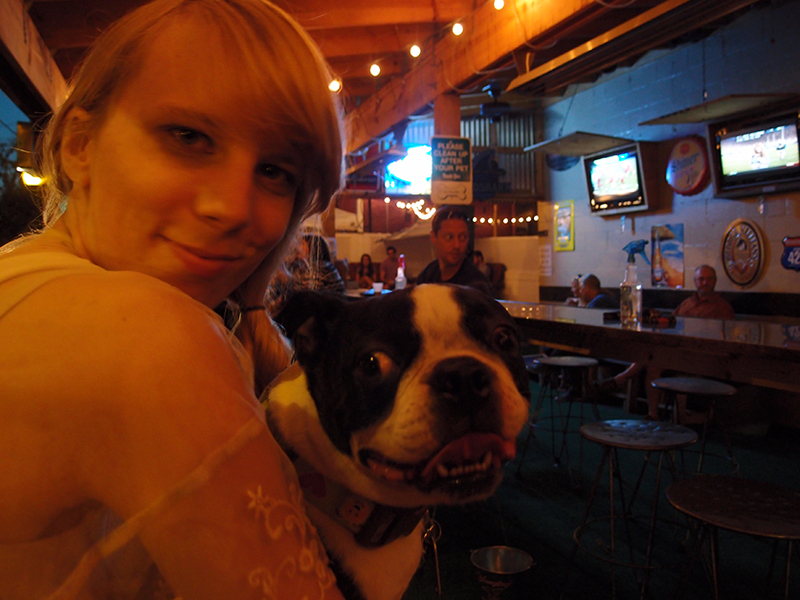 There were a lot of different kind of dogs around and probably the most English Bulldogs I have seen at once. They just kept showing up! Basil couldn’t have been more excited about that. 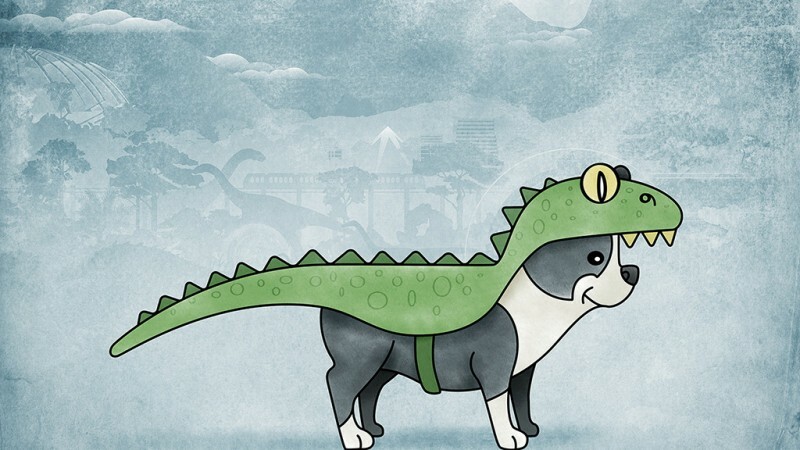 Flat face dogs unite! 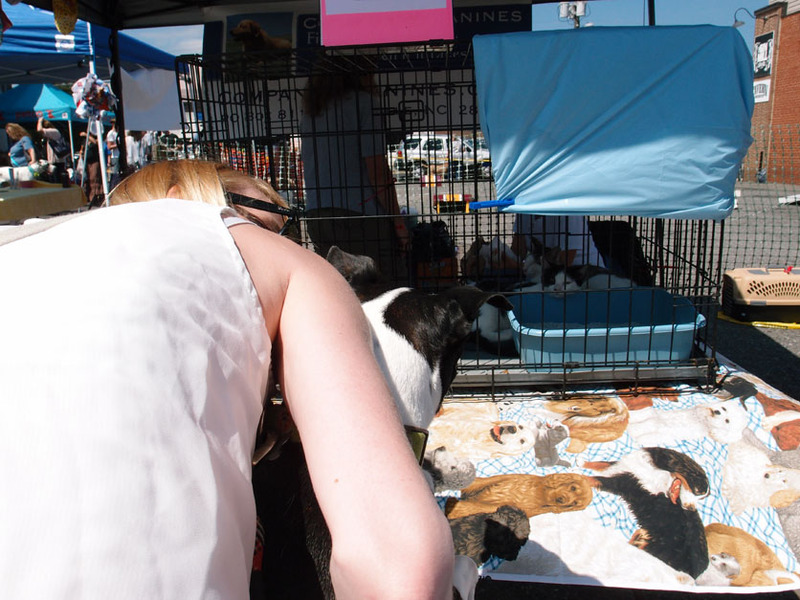 Everyone seemed really friendly and wanted to talk about their pets. 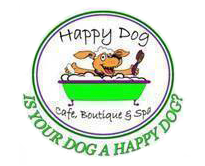 So, overall fun for dogs, good drinks, and if you don’t mind dogs in your face and the slight smell of dog pee its a great place to hang out with your friends. 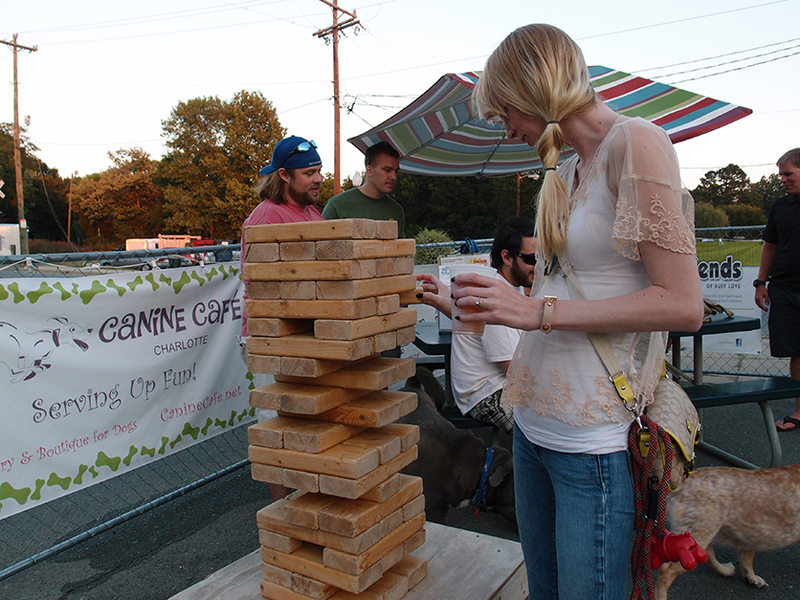 Check it out, have a drink, play some giant Jenga and don’t forget to bring your pet! Hello! 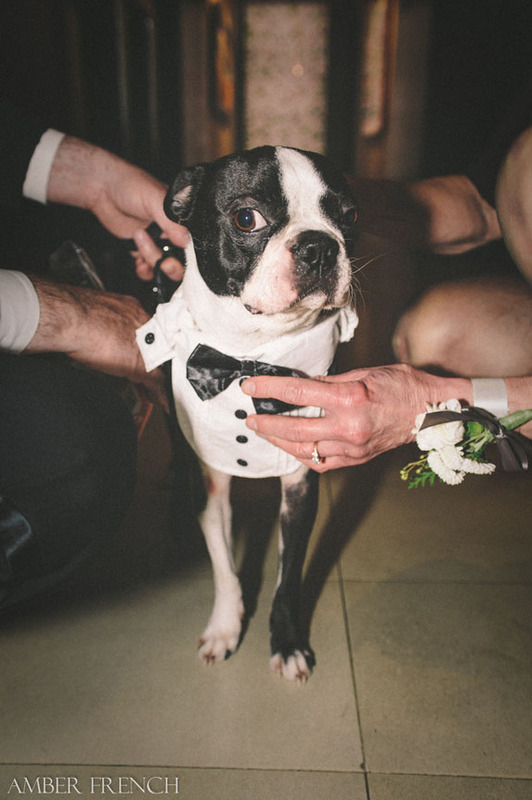 Over the last 9 months or so I’ve been asked many times where we got Basil’s doggie tuxedo that he wore at our wedding. 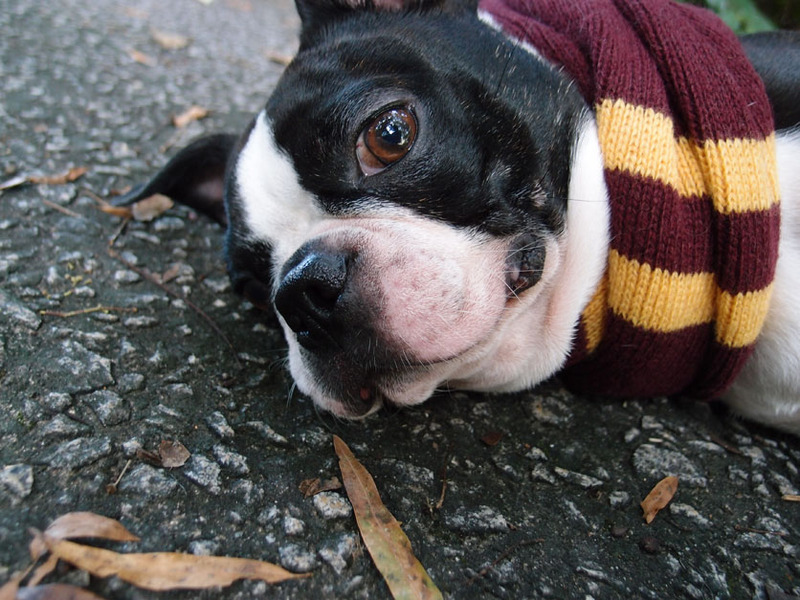 He looked so handsome and even a group of complete strangers were taking photos of my dog on the streets of Seattle. 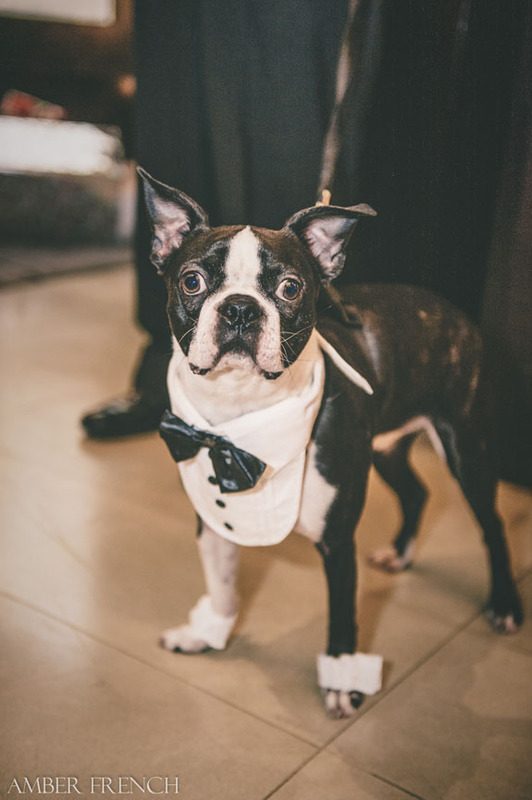 I know that wedding season 2013 has passed but if you are getting married anytime this fall, winter or in 2014 and plan on having your pet involved in your big day you are probably looking for the perfect formal outfit. After searching the internet high and low I pretty much came up empty. Don’t get me wrong, Etsy is a great place to find unique, artsy everything but what I found there just didn’t seem worth the price most of the shops wanted to charge. After almost completely giving up and figuring ‘hey, I have a black & white dog it will be okay’ I struck doggie tuxedo gold! It was the day after Halloween 2012 and I decided to hit up Target for some discount Halloween candy when I saw it. Before this I probably wouldn’t have thought of buying a Halloween costume but it was perfect. They had every size and because it was the day after Halloween it was 50% off the already amazing Target prices. 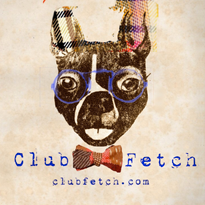 So, if you are in the market for some formal puppy wear for any size mutt check out Target or any Halloween super store that will be popping up any day now. 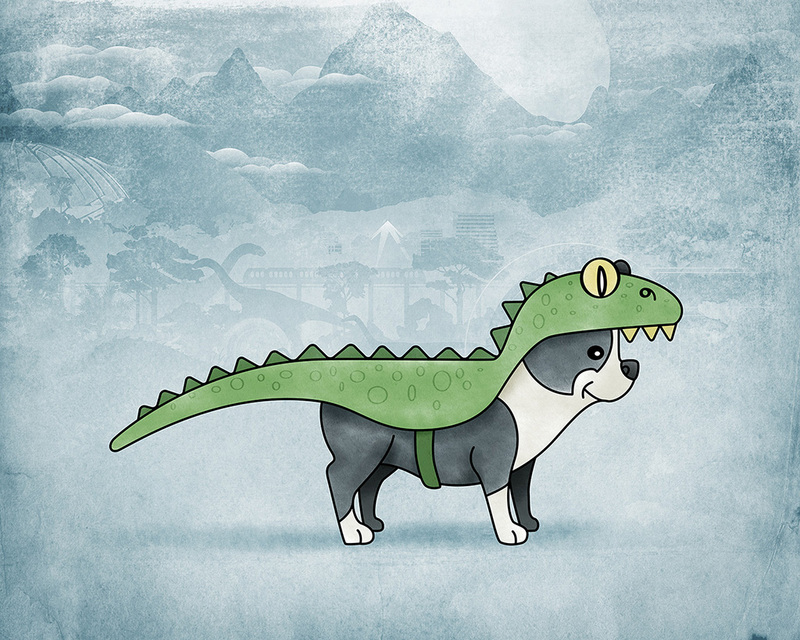 Also, check out Wag.com they have a lot of costumes up right now and when you make your first purchase you get free shipping for 90 days. It’s September and Labor day is officially over. In my book that means its fall! Pumpkin Spice lattes, the changing of the leaves, cooler weather, I love it all. Basil is getting ready too. 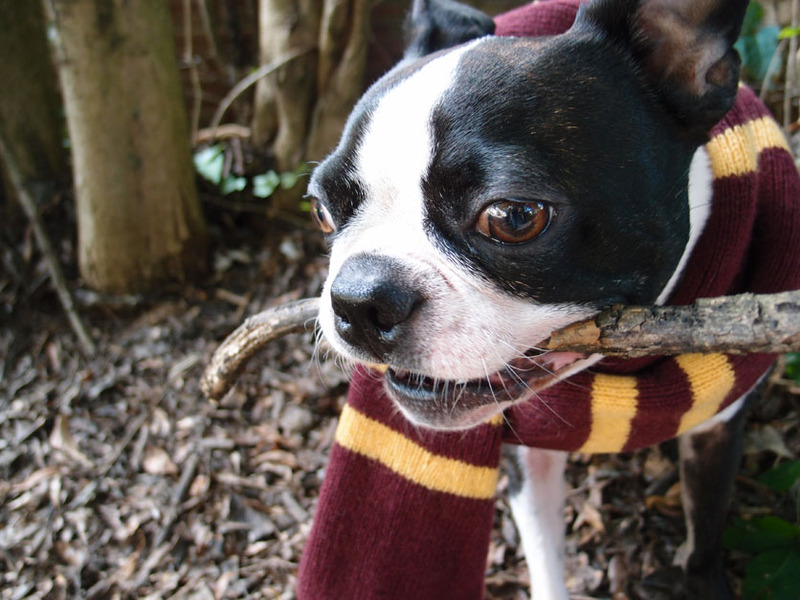 Even though he is a sun dog at heart, he loves the smell of leaves on the ground and crisp air. 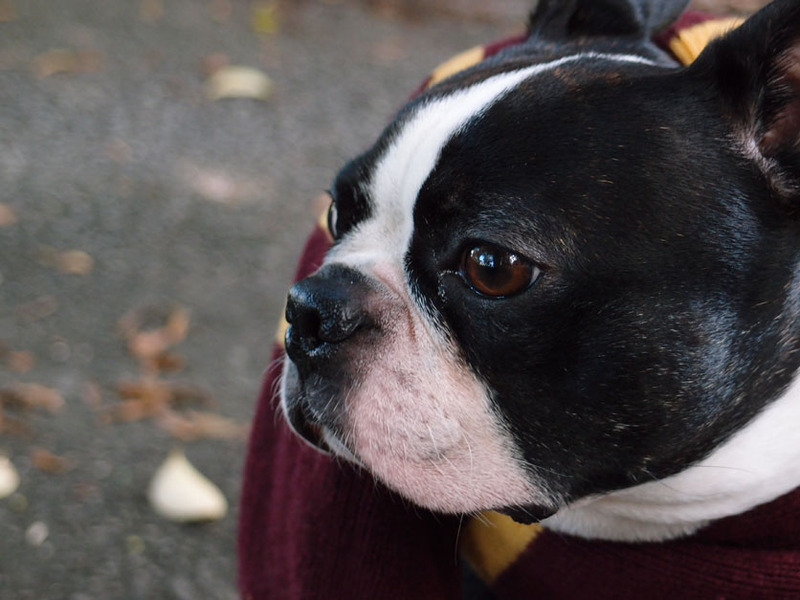 To make Basil happy when its wet or cold all you have to do it throw on one of his wool handmade sweaters or a scarf and hit the road. Basil recommends some great and not to sissy (!!!!) 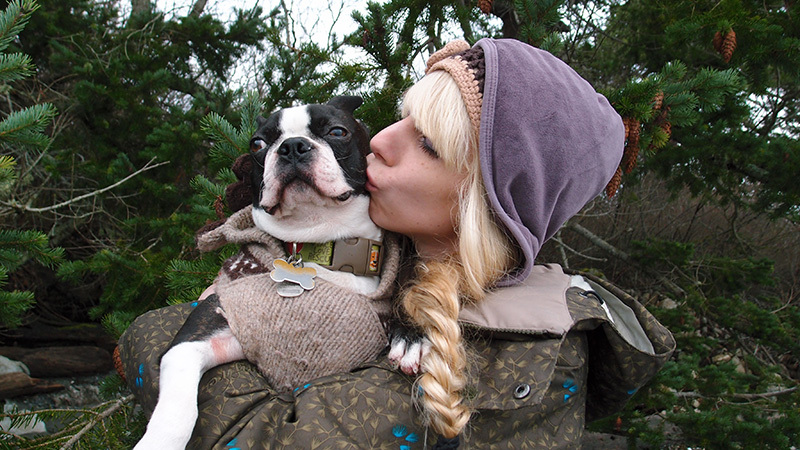 dog sweaters that can be found at most All The Best Pet Care stores in Washington state or at Petco.com and Petsmart.com. 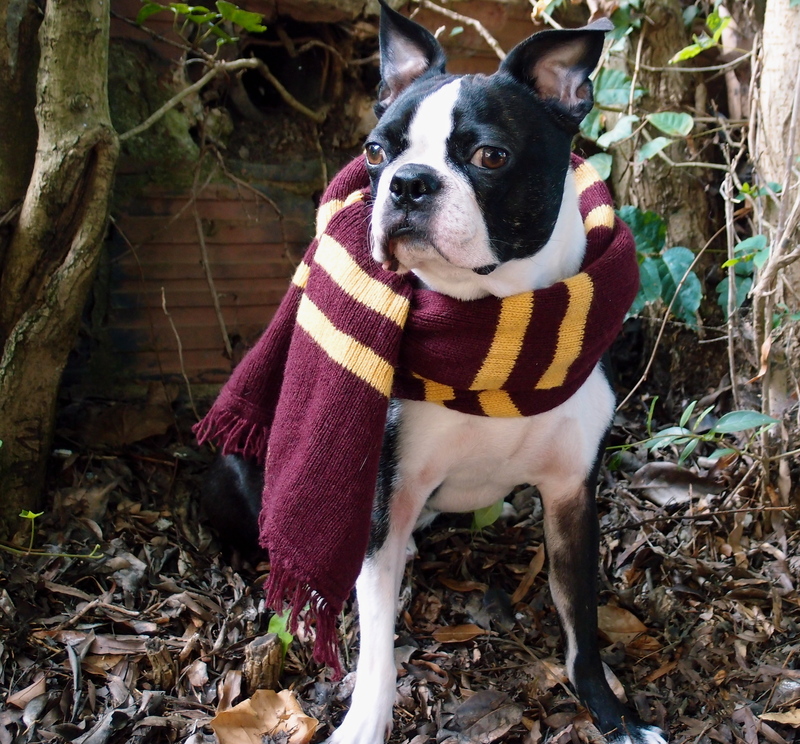 So say hooray to fall with us and get ready for those shorter days by enjoying these photos and maybe doing a little shopping for your pet. 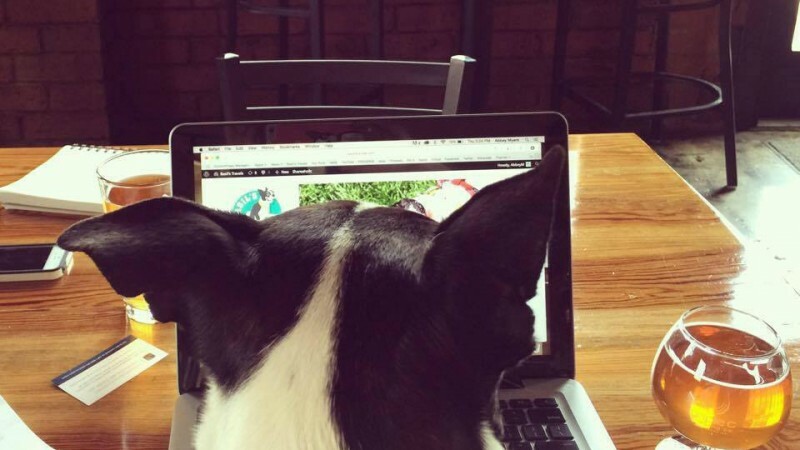 Today, August 26th is National Dog Day. 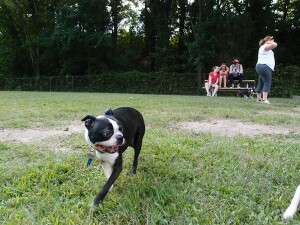 To celebrate I thought I would put up some photos of Basil at Frazier Dog Park in Charlotte, NC. 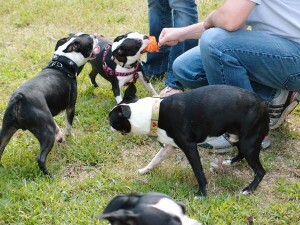 We were up there yesterday with the Boston Terriers of Charlotte meet up group. 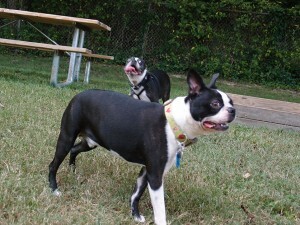 If you are in the Charlotte area we highly recommend Frazier dog park. 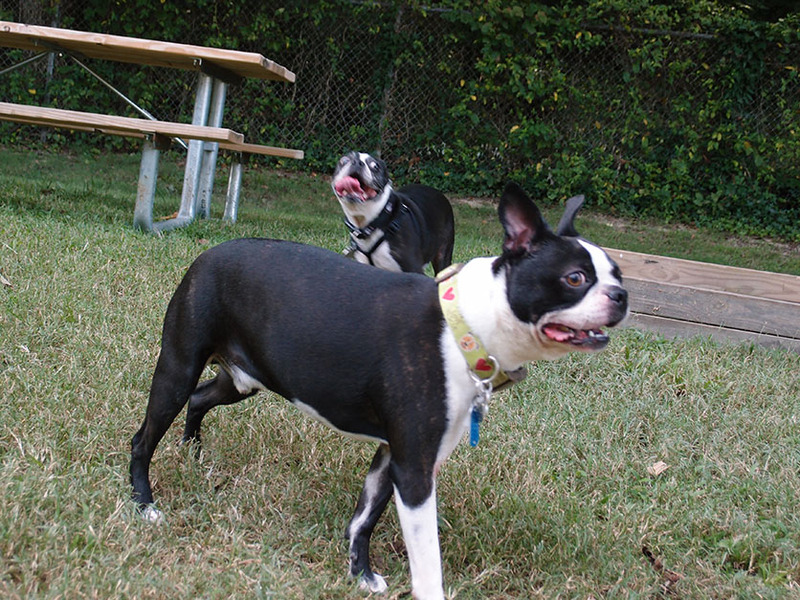 Also, make sure to check out Boston Terriers of Charlotte if you are interested in adopting or fostering a Boston terrier. 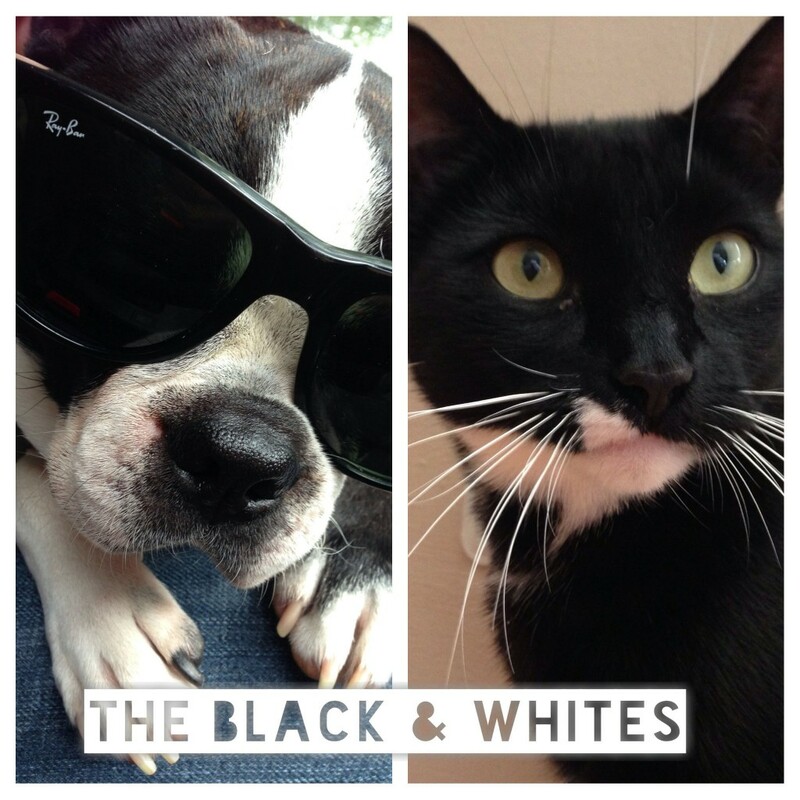 So, in honor of National Dog Day enjoy these silly photos and make sure to love on your four legged friends. 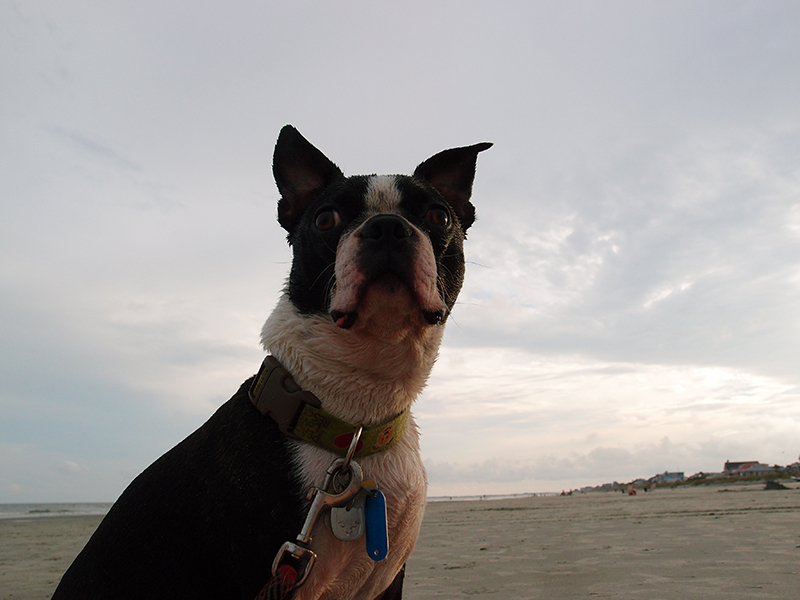 If you know anything about Boston terriers you know that most aren’t very interested in swimming or even being in the water. Basil is no different. Being a Pacific Northwest dog his only real experience with the ocean is rough waves and ice cold water but he loves the beach. 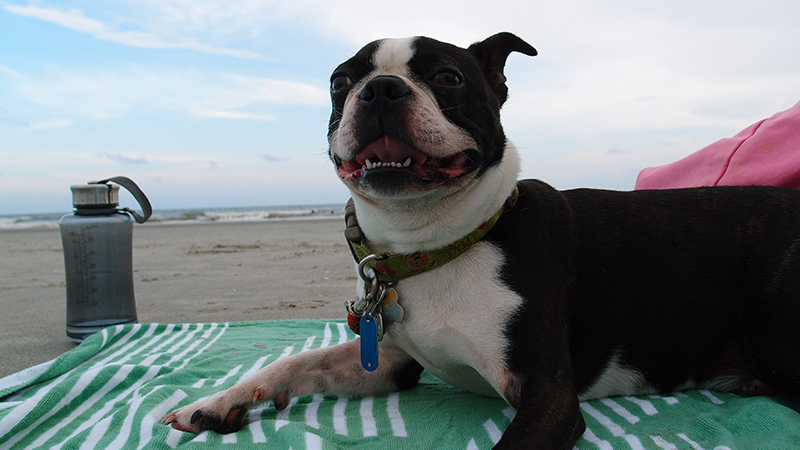 Sand and people are two of Basil’s favorite things so a trip to an Atlantic ocean beach was a must. Waking up early on a Saturday morning and starting to put together a bag, gathering up all of the “can’t live with-out” things that Basil requires, he lifts his sleepy head from under our down comforter. Thats when the real fun begins. 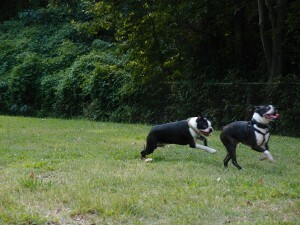 We now have a code red Boston terrier running rampant around our house. After breakfast and a little game of tug-o-rope we hit the road. Currently we are living just outside Charlotte, North Carolina so the journey will take us about 3 and 1/2 hours. About 20 minutes into the trip I turn around to find the elusive (not!) napping monster. 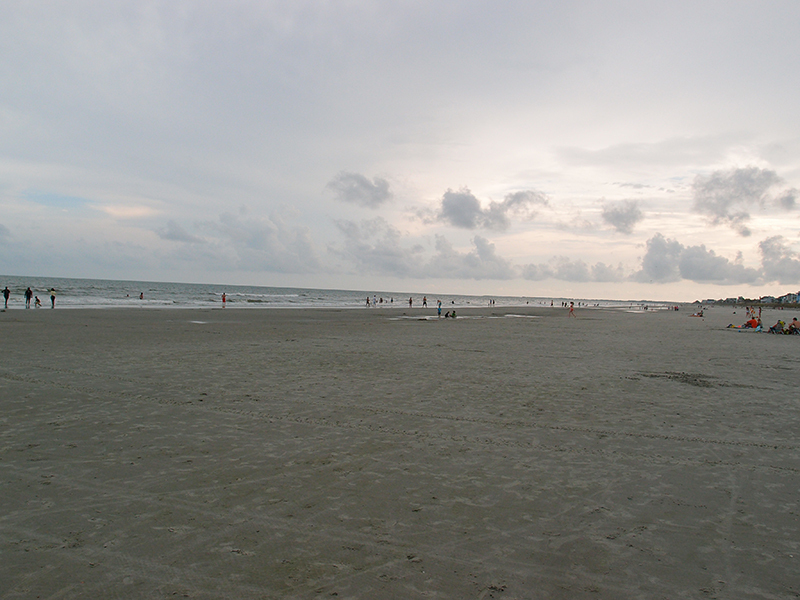 Finally we reach Charleston, South Carolina which is about 9 miles from our final destination, Folly Beach. Charleston is beautiful and everything you would of hope for in a historic southern city. We get out to walk the narrow streets and soak up the history. Basil’s Travels PSA… When the weather is hot, like above 70 degrees please, please, please keep your pets cool by staying out of direct sun, keeping water on hand at all times and keep an eye on your pet. 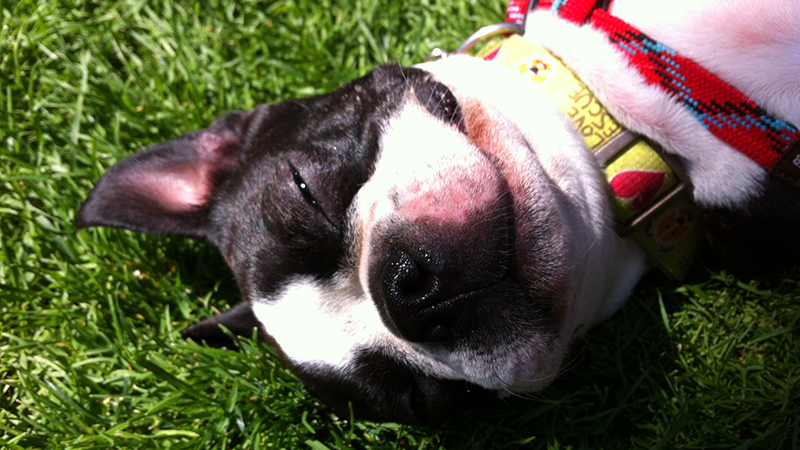 Heat stroke is a very real danger for dogs in the summer months. 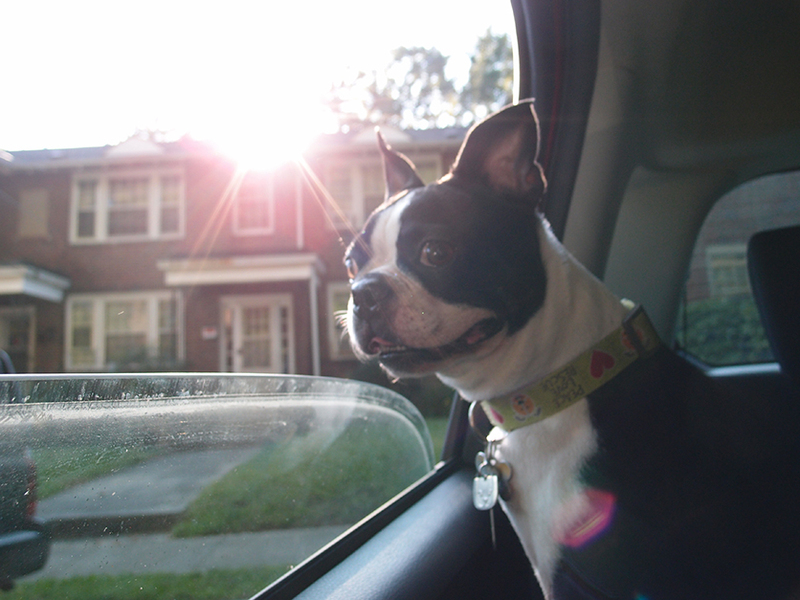 NEVER leave your pet in a hot car, even with the windows down. For Basil I always keep a dog water bottle as well as a portable water dish handy. We recommend a soft sided bowl. 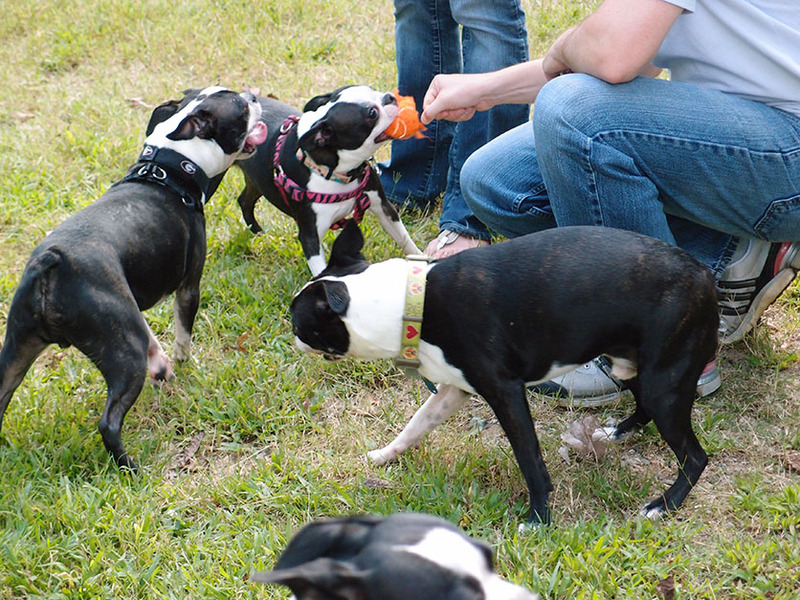 Basil loves his RuffWear Quencher Portable Outdoor Dog Water Bowl. 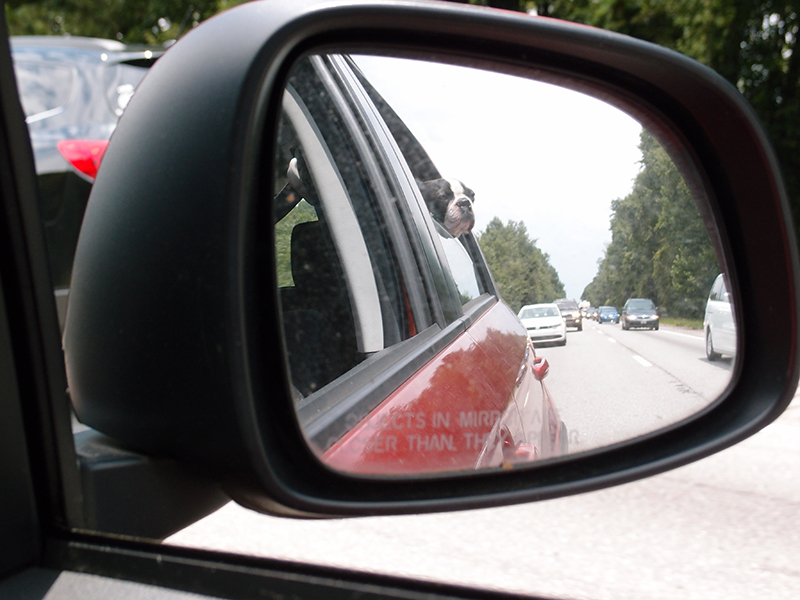 Its great for the car because it doesn’t tip over and its easy to take with you when your out and about. Charleston is a fairly dog friendly city. 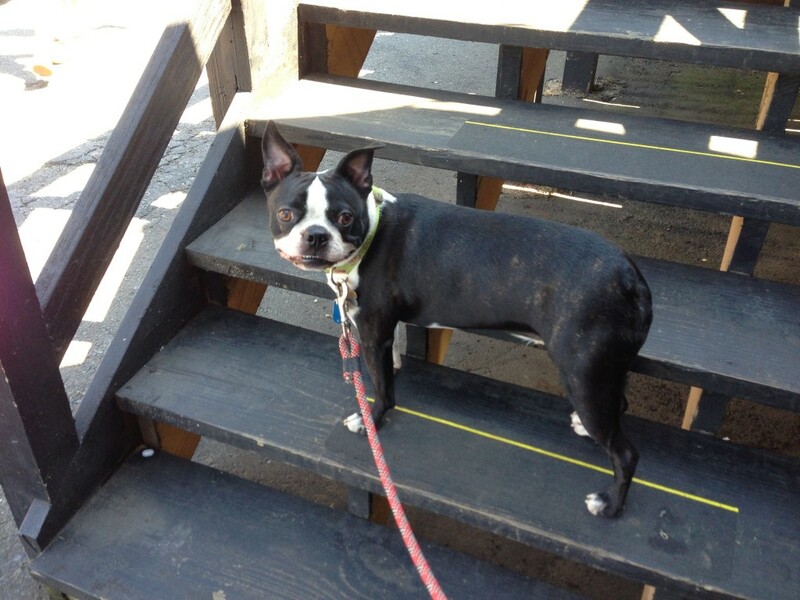 A lot of the high end shops along King Street allow well behaved dogs in as well as a few restaurants with outdoor patios. Basil took us to Bubba Gump Shrimp Co. They allow dogs on the patio and even set our table with a icy dog water dish for our little guy. If you do plan on a visit and have your dog with you let me recommend not visiting on a hot day. Although they do have shade and overhead fans it was too hot for us to enjoy our time there and I worried for Basil. We hope to come back maybe in the fall for a more enjoyable time. Folly Beach Crab Shack looked like just the place for us. With a large outdoor area shade, overhead fans and misters it made us cool and comfortable. 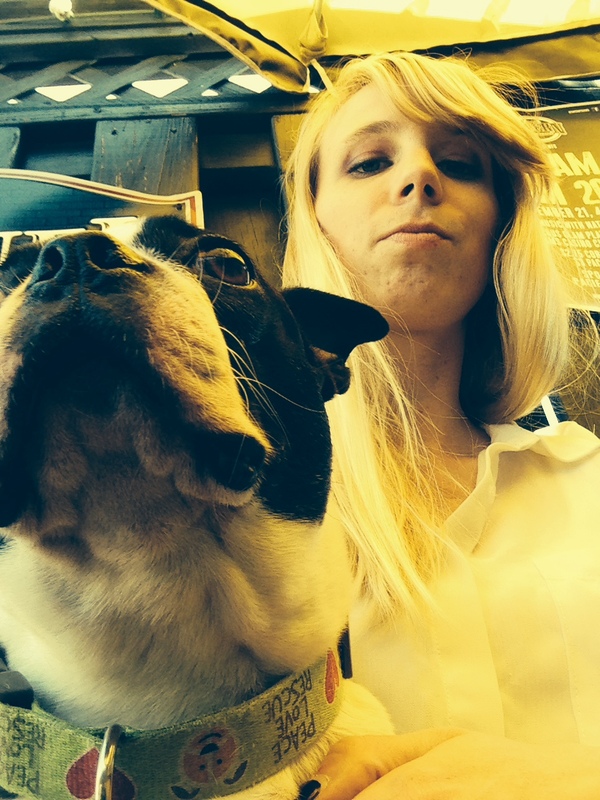 Dog are allowed on the leash in about half their patio. Great drinks and seafood (of course!) 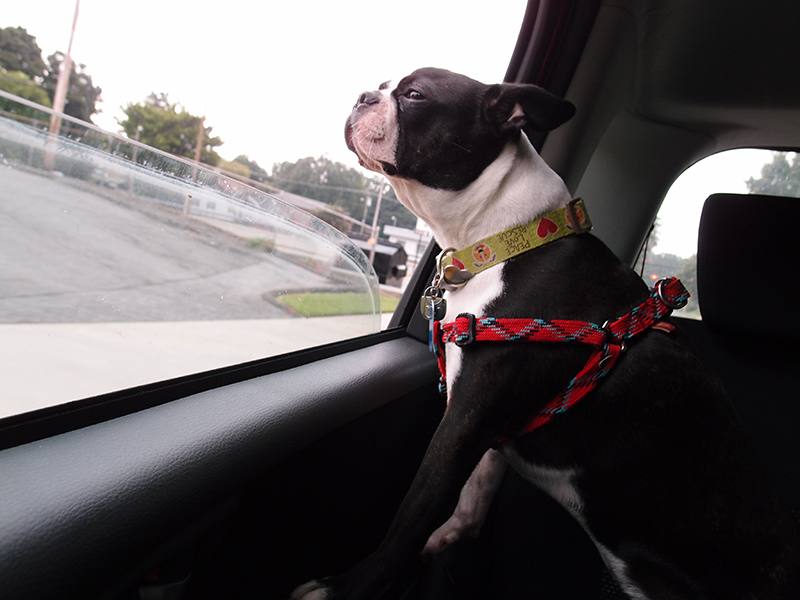 and Basil loved the people watching. He even made friends with a lovely older couple that was enjoying themselves on the great patio just like us. Beach time!! We found that after 6pm, when dogs are allowed on the beach, a lot of people have moved from the beach into town which worked great for us. Parking can be found in public parking lots located right along the beach at almost every public beach access. Parking is $7 a day in all of these public lots. There is also a lot of street parking if you don’t mind a little bit of a walk. The beach was fantastic! Once Basil’s paws hit the sand he was off and running. 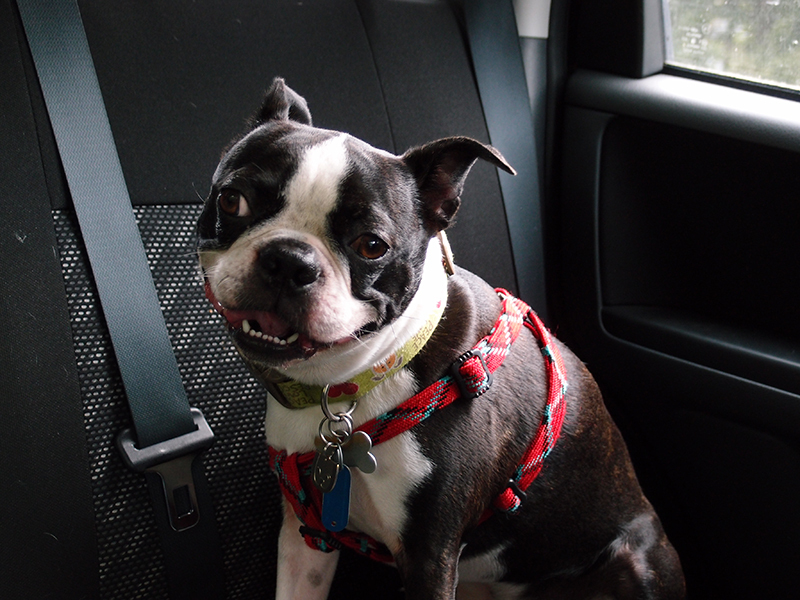 Being leashed at the time he took me for a run also. This was the first time all three of us had seen the Atlantic and we were blown away. Beautiful sandy beaches and calm inviting water. We set up our towels and Basils water and ran for the ocean. I was shocked by how warm the water was and I think Basil was too. He loved it! 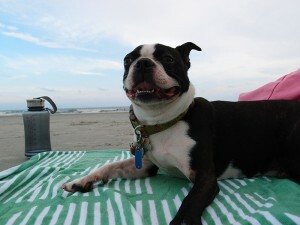 Keeping him leashed for safety and to follow the beach rules he ran and jumped straight into the crashing waves. 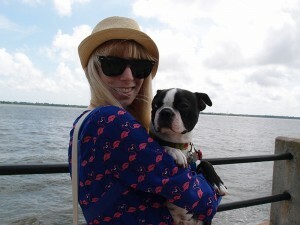 I now have a water loving Boston terrier! WHO KNEW!? We spent the rest of the day laying out, running around and enjoying Basil’s new favorite thing… the ocean. Right before it got dark we packed up our things and started back on the road home. If you plan on spending more than one day in this relaxing beach town there are a lot of places to stay in Folly Beach as well as near by Charleston that allow dogs. 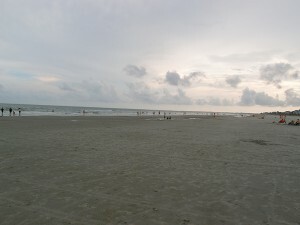 In Folly Beach there is a large beach front hotel called Tides. We didn’t get the opportunity to stay there but we have heard good things and they do allow dogs with a fee. 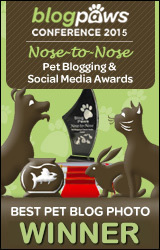 Their website says there is a $85 flat fee for your pet per stay. If you are staying for more than a couple days that fee is very reasonable. For your trip I would recommend stopping off at the visitors centre in Charleston and picking up a map and some other information to check out more about both of these southern cities. As for our trip home, sandy Basil slept the whole way. 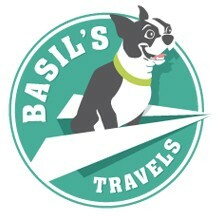 We had an amazing day trip and Basil can’t wait for next time. Feel free to share any and all travel experiences with us too! We’re really excited to get this site up and running! We already have many posts planned so check back often as we’ll be updating this site with many more adventures and pictures. Thanks for stopping by and feel free to contact us with any of the your own pet friendly travel experiences.